In 1897, the S'fard Anshe Galicia congregation was organized by M. BOOK, Samuel KALCHSTEIN, C. H. BURNSTEIN, David KRELL and David SCHRAGE. Before the year ended, the entire membership amounted to ten. For years, the members of the congregation worshipped in a private room and in other places, such as halls and auditoriums. But soon, they owned one of the finest Orthodox synagogues in Western Pennsylvania. The building was erected in 1908, through the efforts of dedicated members, such as A. M. AMPER, M. BOOK, Samuel KALCHSTEIN and Meyer BUCK. The edifice was built of buff brick with stone trimmings and the interior was finished in hardwood and oak. An artist from Germany painted beautiful designs in oil. The building had a gallery and it stood on the corner of Seventh Avenue and Mulberry Street. This sacred house of G-d was dedicated on 13 September 1908. Miss Jennie KALCHSTEIN unlocked the doors of the synagogue with a golden key, presented to her by the members of the Congregation. Following the opening of the doors, a prayer was offered by the Rev. A.M. Ashinsky of Pittsburgh. The Honorable W.H. COLEMAN, Mayor of McKeesport, addressed those assembled for this occasion. The first spiritual leader of the Congregation was Rabbi WOLFISH, who served from 1909 until his death in the mid 40's. Rabbi Jacob FRIEDMAN was the Hebrew teacher in 1921 and 1922 and conducted High Holiday Services, prior to becoming the Rabbi of Clairton. Rabbi FRIEDMAN served as the Recording Secretary of the Congregation until his death in 1940. He kept the minutes in Yiddish, written in Hebrew script. During this period, Mr. Isadore RACK served as Treasurer for several years. It is interesting to note, that within 10 to 12 years after the birth of the Tree of Life and Sfard Anshe Galicia Congregations, another Congregation was coming into existence, Kesher Israel. The Kesher Israel congregation was founded in 1910, by J. L. DIAMOND and Leib KESSLER. This synagogue was located nearby on Mulberry Street. In June, 1935, the Kesher Israel Congregation decided to join together with the Anshe S'fard. Mr. Philip KESSLER was the first president of this union, now referred to as the S'fard Congregation. Other members to follow, in years to come, who would be president, were I. M. GOLD, Myer TAKSEL, Max LIEB, J. WEISS, J. L. DIAMOND, Jacob GUTTMAN, Sam ROSENZWEIG, Abe ABRAMS, Larry KUPFER , Harry MARKOWITZ, Isadore JOSHOWITZ, Dave WEINBERG and Dave BLEIBERG. Over the years, Rabbi LEFKOWITZ and Rabbi POPACH served. 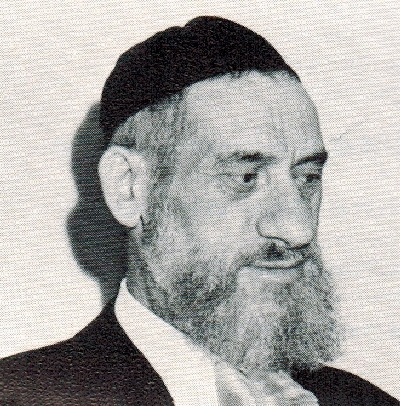 A few years later one of the most loved and memorable Rabbis ever to serve this community became the spiritual leader of the Sfard Congregation, Rabbi Jacob SAX, who served from 1952 until his death in 1972. Meanwhile, in 1948, a number of men who resided in the vicinity of the McKeesport Carnegie Library desired to observe the Sabbath, and yet wanted to avoid the long walk to Third and Market Street where they had been attending services at the Congregation Gemilas Chesed. They decided to meet in the home of Mr. and Mrs. Joseph HERSKOVITZ, who lived on the corner of Coursin Street and Beaver Avenue. Here they held their daily minyans (services). For Rosh Hashanah and Yom Kippur services, they rented a room downstairs in the Carnegie Library to accommodate their families. For a period of time, services were also held in a house on the corner of Cornell and Library Streets. This house was obtained through the persistent efforts of Mr. Benjamin OLENDER. When this house was no longer useable, Mr. David COSLOV bought the property, dismantled it, and built his own residence on the site. COSLOV was especially instrumental in acquiring the charter of the old Tree of Life, which was assumed by the interested parties. Some of the members who were active in the formation of this new group were Samuel ACKERMAN, Max BERKOVITZ, William BERKOVITZ, David COSLOV, Abe FINKEL, Aaron GUTTMAN, Charles GROSS, Nathan HERSH, Joseph HERSKOVITZ, Henry B. KLEIN, Isador KLEIN, Aaron MARKOVITZ, William MOLDOVAN, Sam MOLDOVAN, Benjamin OLENDER, Samuel SABIN, Harry SCHULHOF, David SHERMER, Max SPIEGEL, Sigmund SPIEGEL and Andrew SPITZ. In 1950, with Benjamin OLENDER as the purchaser for the group, the STUCKSLAGER home was acquired and remodeled. This was the building on the corner of Bailie Avenue and Coursin Street. For many hours, days, and weeks the loyal founders watched each brick being put into place, proudly watching the "new" Tree of Life Building being born again. As membership grew in the revitalized Tree of Life, a number of ordained rabbis served the Congregation, such as Rabbi Louis NULMAN, Rabbi Jack SEGAL, Rabbi Edmund NEISS, Rabbi Marvin GOLDMAN, Rabbi Milton TURNER and Rabbi Philip LEFKOWITZ. Rabbi Alex KAMINETSKY served as interim spiritual leader when he was needed. The men serving as presidents were Alvin ACKERMAN, Dr. Louis IVES, Alvin KLEIN, Burton KLEIN, Donald MORITZ, Samuel SABIN, David S. SHERMER, Jerome SIMON, Stuart SPITZ, Albert WEIN and Harold WINTNER. In 1973, the S'fard and Tree of Life Congregations joined to form the Tree of Life - S'fard Congregation. The Presidents of the new merger were Gerald SPIEGEL and Sam WEINREB and Marvin BERK. Soon the two congregations decided it was time to join under one roof. A lot was purchased in White Oak Borough. The Tree of Life building was sold to the McKeesport Little Theatre and the McKeesport Redevelopment bought the S'fard building on Seventh Avenue. The beautiful new building was oonstructed 2025 Cyprus and the congregation held its first services in the new building in August, 1975.